With the Championship season drawing to a close, with just the play-off winner to resolve. Two teams are already promoted with Goalkeepers I was blogging about 2 years ago. With votes flying in for the Premier league’s 20 seasons, the biggest candidate for the best Goalkeeper over those 20 seasons must be Peter Schmeichel. 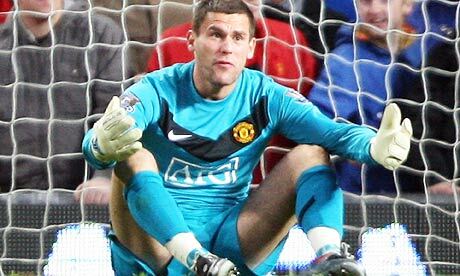 He was such a great Goalkeeper that every goalkeeper after him at Manchester United had a lot to live up to! 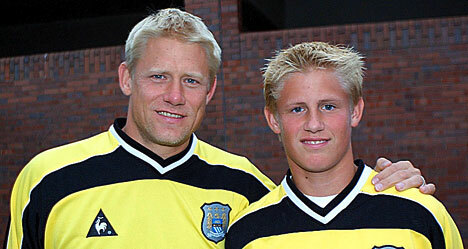 So spare a thought for his son, Kasper who people are already trying to match up against his old man! The pressure on Kasper to be as good or better than his dad must be immense, but he isn’t doing too bad… Yes, he has some similar traits to his Dad, he makes mistakes (don’t we all!) but let’s face it he is only 25 and he is still developing. If he is like his dad, then he still has another 14 years of Goalkeeping to prove he is as good as we hope he is! 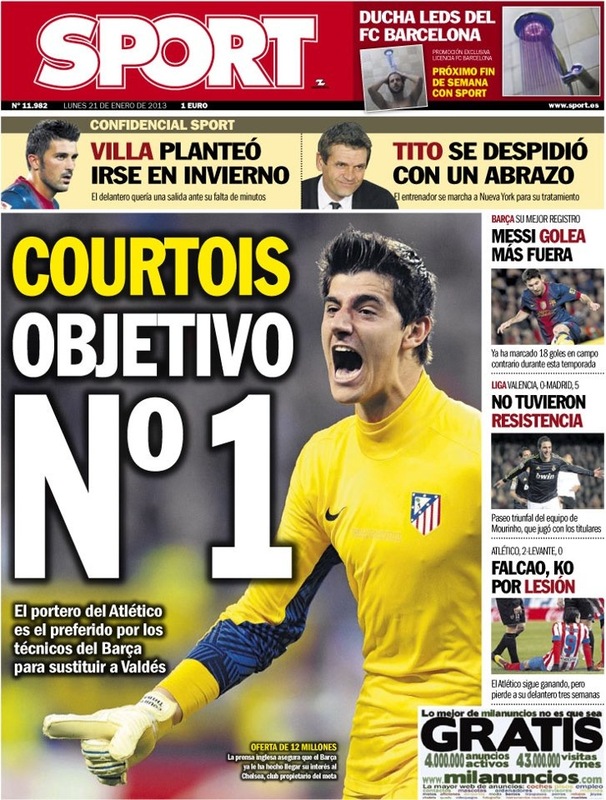 Only conceded 29 goals in 43 matches. an impressive 0.67 goals conceded per game. Yes that does mean that Kasper has conceded more (1.2 goals conceded per game) than at Notts county and the ratio for clean sheets to games is lower too at 31.1%. 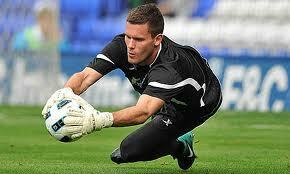 However at Leicester he has been far busier in goal than at Notts County! Kasper has actually had to cope with an astonishing 240 shots on target (far lower than my last goalkeeper spotlight blog for Adam Federici). Therefore if you based his stats on how busy he actually was, then at 54 goals conceded versus 240 shots on goal, means that he only conceded 0.2 goals per every shot at goal, which you have to say is very impressive. OK, he may not win the golden glove this season, but then that is difficult for any Goalkeeper that has to cope with that amount of shots on goal (a good point to remember for those student Goalkeepers), but how good a keeper is, is more than just clean sheets (another good point for the student Goalkeepers). So it isn’t a surprise to read in the press that he is being linked to moves to the premiership. 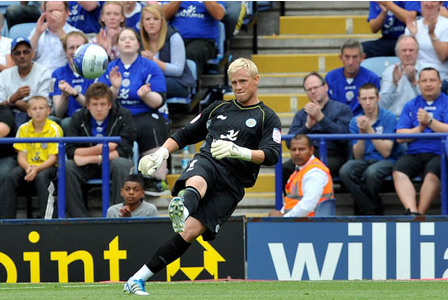 Kasper is most definitely one to watch and has every chance to emulate the success of his Dad. I can’t wait to see that – although it’s a shame he isn’t an English international! The best of his performances being the match against their rivals for the Championship trophy, Southampton, who had 19 shots at goal and 12 on target. The scoreline could have been so much different if it wasn’t for Federici’s heroics, with Reading winning that game 3-1 to move into pole position. 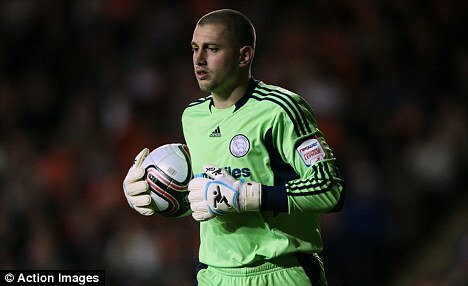 Perhaps if I ran this poll, maybe we would see a number of votes for our star England U21 Goalkeeper, Frankie Fielding? After this weekends display for Derby County against Ipswich Town, with the papers exclaiming that Frankie “was in unbeatable form”, he again showed just why he is rated so highly and perhaps showed Joe Hart that there is more competition coming in the future for his place in the Senior England team… Because, as per my previous article on the future looking bright for England, he is just one of a crop of future England star stoppers that can give us confidence in this position for years to come. Frankie was a product of the Blackburn Rovers Academy, but the closest he came to the first team was on the subs bench. So instead he went out on loan to Wycombe Wanderers, Northampton, Rochdale, Leeds United and after a frustrated plea to want to play first team football, played for Derby on loan too. With clean sheets and impressive display helping Derby to remain a Championship club, Frankie signed for a bargain £400,000 this season. Been one of the busiest Goalkeepers in the Championship, having to cope with 275 shots on goal, so conceding 53 goals and keeping 11 clean sheets against that barrage of shots is some feat! With Frankie Fielding now on the fringes of the Senior England team and with these stats I am sure he is being looked at quite closely…. That with this such form, he could certainly be worthy competition for Joe Hart or one player that Premier League Clubs would soon be knocking on Derby County’s door…. What a great future prospect! I saw this tweet last week: “Who have been the best goalkeeper for you this season ? – SZCZESNY – DE GEA – HART – KRUL – VORM – FRIEDEL – OTHER”. As a fan of Goalkeeping I had to reply, pointing out that this list could be expanded on, that indeed they are all quality Goalkeepers. Although if I had to pick one, the stand out Goalkeeper this season in the premiership is Michel Vorm of Swansea City. Michel Vorm signed for Swansea City from Ultrecht for what now seems to be an absolute bargain in Premiership prices of only £1.5 million! Making his debut against Manchester City. This turned out to be a 4-0 defeat for Swansea, but that score could have been much higher had it not been for the activity of Vorm in the Swansea goal. Since then Vorm has kept 12 clean sheets. 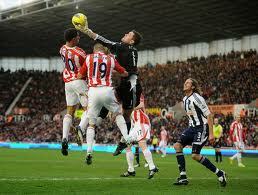 Which is some feat as he is the second busiest keeper in the Premiership, having had to make 111 saves so far. 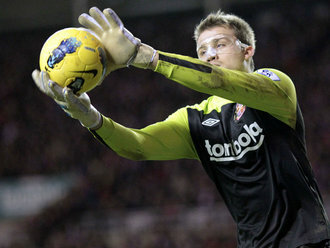 He is also gaining a reputation for a penalty save specialist, having saved a penalty from Ben Watson of Wigan Athletic and Clint Demspey of Fulham in this season. I would have to agree, he has a fantastic technique, both psychologically and technically, winning the battle of minds and using great agility to make the save respectively. Swansea are likely to stay in the Premiership this season. There have been heroics outfield and people making a name for themselves at Swansea, but the star of the show for me has to be Vorm. A class act who Swansea must keep hold of! I am sure some of you goalkeeper following folk were wondering why I hadn’t done a spotlight on Joe Hart sooner. This isn’t because I haven’t wanted to, I have just found excuses not too after seeing some other fine Goalkeeping that really needed a stage before even the talent that is Joe Hart. Following on from previous posts, where I have discussed that there is much English talent in the lower leagues, Joe Hart is a classic example of the talent we have in this country that is being spotted outside of the Premiership. 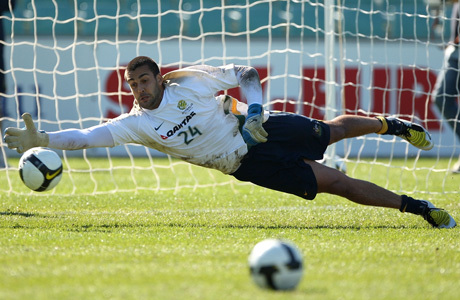 In fact for Hart after playing his first professional game in 2004 for Shrewsbury in the Conference and then going on with Shrewsbury to be voted League Two’s best Goalkeeper in the 2005-2006. Plus also putting him PFA League Two Team of that Year. It was such great form for Shrewbury Town that brought him first under the England FA spotlight at U19 level and also on the radar of a number of high-profile clubs. 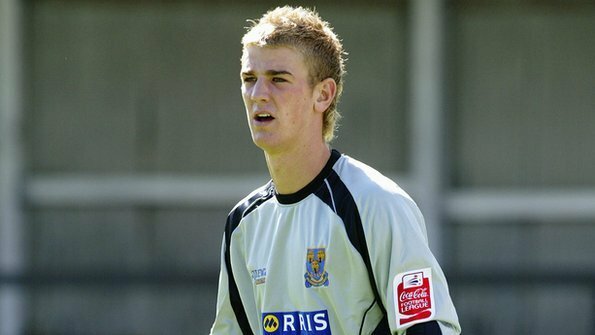 So at the end of the 2005-2006 season, it was time for Hart to move on, where he decided to sign for Manchester City in a deal worth up to £1.5m. Sometimes signing young talent can be a gamble as you are unsure how much more a player will develop. 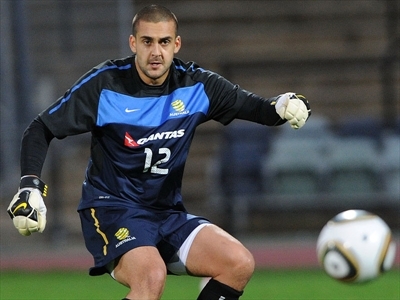 However in Hart’s case he developed his skills not just at Manchester City, but while going out on loan at Tranmere, Blackpool and then his greatest loan move, Birmingham, where he showed the Premier league just what sort of player he had developed into, earning him a nomination for the 2010 PFA young player of the year and getting into the PFA team of the year. Like his replacement at Birmingham, Ben Foster, Hart took his loan move as an opportunity to show his current club and the rest of the country that he could compete at the highest level. That his was an exceptional talent. Someone who not only turned his club manager’s head but also the England Manager’s head too. So in the space of 5 years, Joe Hart went from non-league football to England’s first choice goalkeeper. What an exceptional rise to fame! Some say he is a fantastic keeper now, that he has it all… And I would agree that he is a fantastic keeper although I still feel this is just the start of even better things with Joe Hart, that he could easily become one of the world’s best. 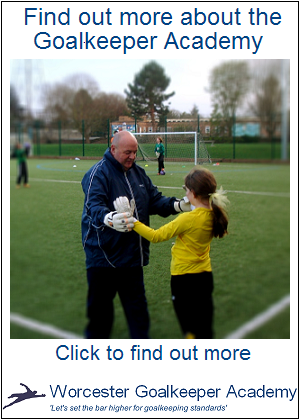 At the Academy we like to encourage our own keepers to look at what they do well and where they could improve (we also do this for the coaches and the Academy too!). The coaches and keepers last week also reviewed Joe Hart and agreed that there are many areas that he does well, but like them, there are still areas that we all felt could improve. 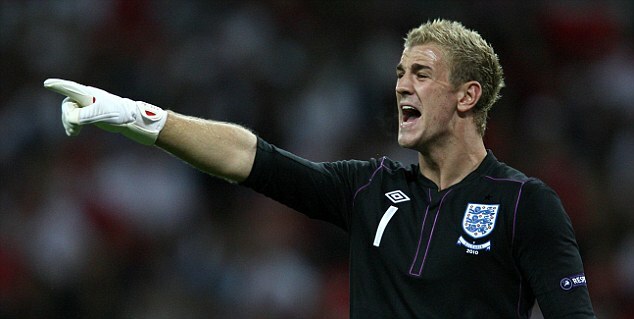 Communication skills – How many pictures have we seen in the press of Joe Hart shouting out instructions to his team? 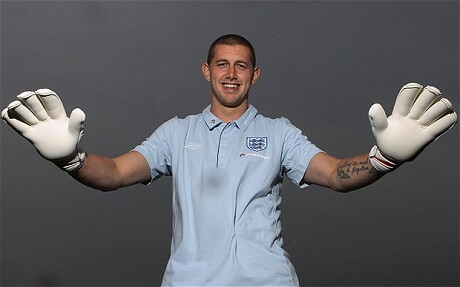 This is probably why he could be a good future England Captain. Speed, Agility and Quickness (SAQ) – The ground Joe Hart covers to get over across the goal to save a ball is exceptional. Couple that with how quick he is to get back and set for a second or third save, shows excellent skill. 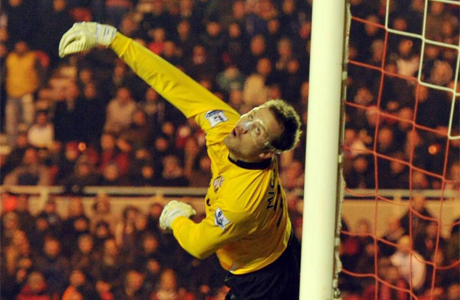 Reactions – Joe Hart makes some great pinpoint saves, where he has little time to react. This also adds to the SAQ, with his quick reactions after getting to his feet to make lightning quick reactionary saves! Set Position – We noted that in some situations Joe Hart is seen with a wide stance. OK that maybe how he is comfortable and may allow better push-off but we prefer having feet closer together, otherwise you could fall foul like Pepe Reina of Liverpool did recently in the match against QPR, with the ball going through his legs (I can hear Soccer AM now: ‘Tunnel’… ‘Taxi for Reina’…!). Punching – Goalkeeper do tend to punch balls these days, however with Joe Hart he always tends to go for the catch (great!). That said that in situations he really needs to he makes the judgement call to punch, unfortunately we have seen examples where the punch is neither high or wide and most often punched out to the front of goal. Fortunately though in most cases he got away with it! OK you may disagree, on the areas of improvement. But like all keepers of Joe Hart’s mind-set, he will know the areas he wants to improve on, using his coach to hone in his skills. Joe Hart like other great players in this world may already have talent, but he will do what he can to ensure further development. After all he has already shown this in such a short space of time. He is an exceptional talent and I look forward to seeing how this talent improves further. 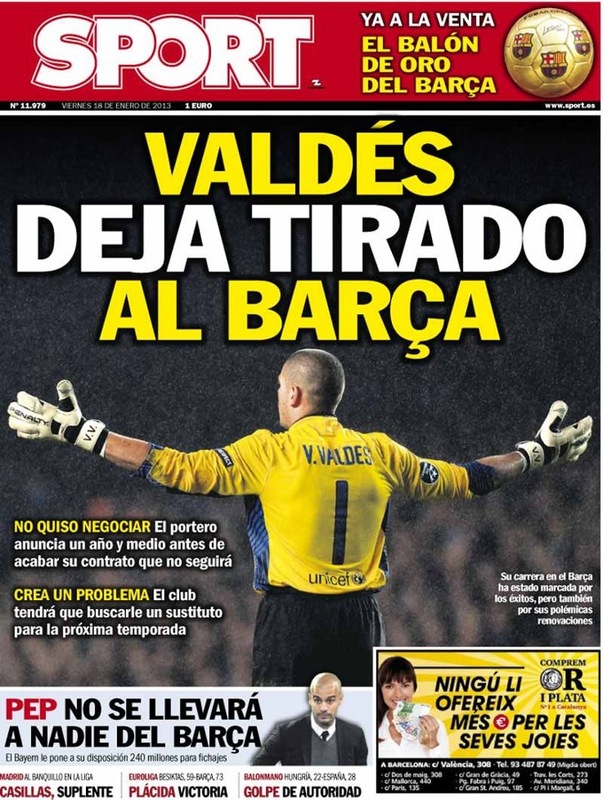 Again I pick a spotlight on a goalkeeper against Liverpool. Honestly I have nothing against the Reds, it’s just recently they have been up against some quality Goalkeeping This time they were up against the impressive Simon Mignolet, the Sunderland AFC Goalkeeper. Despite being frustrated by the Tyne and Wear derby, he remained upbeat for the match against Liverpool and as seen was resolute in the goal to numerous efforts from Liverpool. It’s funny really as, like many Goalkeepers, this wasn’t actually the position that he started his playing career in… For, Mignolet was actually a midfielder! However, like many players of a young age who go through personal changes and growth spurts, this hampered his development. So instead of being given time to improve he was released by his local club for not making the grade. Although this didn’t deter Mignolet who not only still played for fun, found a new position… Goalkeeping. 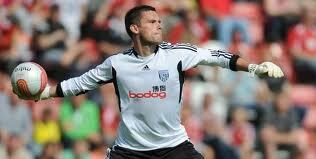 Which six years after being released saw him playing in the Premiership. Midfields loss is most certainly Goalkeepings gain!